Adam Newman (Justin Hartley) is leading a charmed double life on CBS Daytime&apos;s The Young and the Restless. The presumed dead villain has successfully assumed the life (and face) of another man. He&apos;s reunited with his widow and son and is running his father&apos;s empire. 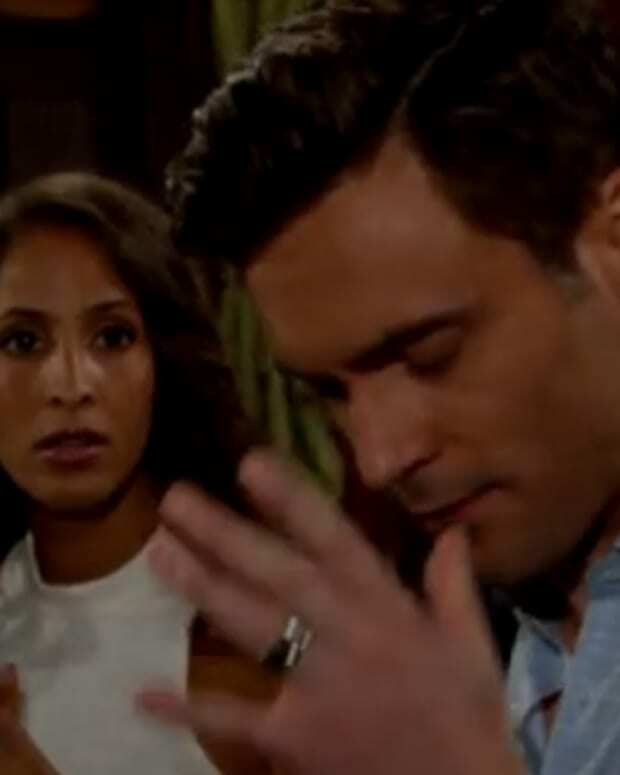 So what makes him risk it all by blabbing to a portrait of his daddy, with Chelsea (Melissa Claire Egan) within earshot today on the soap opera? Adam should really consider texting Sami Brady (Alison Sweeney) from Days of Our Lives for advice. She was always giving away her schemes by talking to herself loudly in rooms, yet rarely got caught. I bet she could give him some pointers on how to cover with Chels!